What: Some of the world’s most successful open-learning university professors will convene at UC Irvine July 15-17 to create a course to teach other instructors how to conduct open college courses. 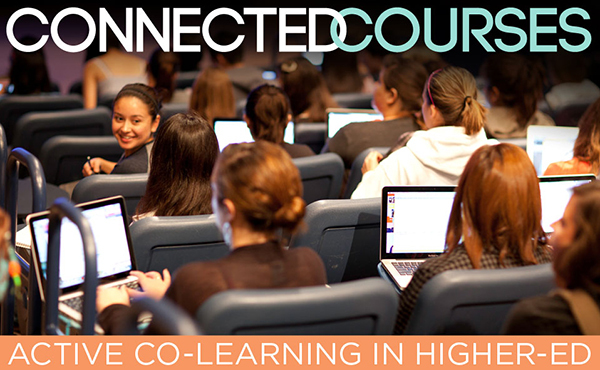 The Connected Courses Workshop is being led by open-learning pioneers, who will develop the curriculum for the course that will be offered free to the world in the fall. Who: The workshop is being organized by David Theo Goldberg, executive director of the University of California Humanities Research Institute; Jim Groom, director of the Division of Teaching and Learning Technologies and adjunct professor at the University of Mary Washington in Virginia; Mimi Ito, research director of the Digital Media and Learning Research Hub at UC Irvine; Lisa Nakamura, professor of American cultures and the screen arts and cultures at the University of Michigan, Ann Arbor; video blogger Howard Rheingold, who has taught digital media at Stanford and other universities; anthropologist Michael Wesch, who has been dubbed “the prophet of an education revolution” and who was named the 2008 “U.S. Professor of the Year” by the Council for Advancement and Support of Education and Carnegie Foundation; and award-winning British photographer Jonathan Worth. In addition, open-learning experts and educational technologists who will serve as master instructors include Anne Balsamo, W. Gardner Campbell, Alec Couros, Kim Jaxon, Helen Keegan, Alan Levine, Liz Losh and Mia Zamora. Background: In 2013, the Digital Media and Learning Research Hub supported Reclaim Open Learning, an effort to explore the intersections between higher education, open learning, and the connected learning model in the midst of growing attention to MOOCs. The effort focused on returning to core pedagogical and learning principles, the ethos of the open web, and end-to-end faculty and student innovation when attention was shifting to large institutionalized initiatives and old-school top-down pedagogical and learning models. Activities included a hackathon at the MIT Media Lab and a faculty innovation competition. The competition winners — Phonar, ds106, and femtechnet — were open university course projects that exemplified core connected learning principles and approaches. Over time, the projects have built a strong online community and brand with a life outside of their university courses. Together, they provide a set of models and learning that could inform the development of more open courses that are highly participatory and aligned with the principles of connected learning. Sponsors: University of California Humanities Research Institute, Digital Media and Learning Research Hub, Calit2 (California Institute for Telecommunications and Information Technology) and MacArthur Foundation.